This post has been a long time coming, I've created several drafts but it seems that every time I was close to finishing and ready to hit the publish button, something would change. I started having some severe health issues in March. Just weird abdominal pains, feeling like crap, anxiety through the roof, no appetite. All of this came to a head after, of all things, a sneezing fit. I managed to rupture my xiphoid process after a multiple digit sneezing fest. So, on a Saturday, I went to my primary care doc who ordered bloodwork and x-rays that couldn't be performed until Monday and sent me home. This was March 31. By Monday (4/2) all of the pain had moved left of center. It felt like if I could unhinge my ribs on that side and open up my chest everything would have room to be where it should be. It sent me to the ER. They diagnosed me with non-diabetic hyperglycemia (stress induced) and a ruptured xiphoid process. I was discharged with Zantac. Tuesday (4/3) I go back to my PCP because I'm still in pain, my anxiety is off the charts and I'm nauseated. She does a finger stick blood glucose check and I'm sitting at a fasted 300+. At that point she decided this is an emergency and wants to call an ambulance to take me to another hospital to be admitted for DKA. I refused the ambulance and chose to drive myself because I'm stopping at home to actually put on underwear and grab a book if I'm being admitted to the hospital. I get to the hospital and my doctor has called ahead so they're ready for me and I'm taken to the back pretty quickly. The ER doctor walks in and says to me in this sort of accusatory tone, "Why are you here?" My entirely unhelpful response was, "That's a very good question." 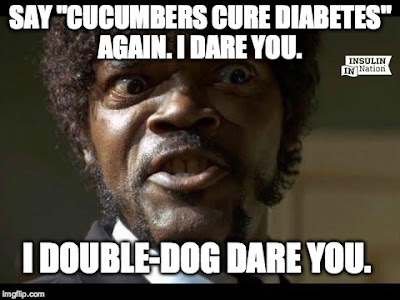 The ER doc continued his ridiculous diagnosis of me by saying that I was a type 2 diabetic and , "not that diabetic". He gave me a quarter of a bag of IV fluids, prescribed Metformin and Glyburide. Told me to take both with a meal twice a day and sent me home. He also prescribed Tramodol for the pain at my xiphoid process and yet another prescription for Zantac. I was released with no instruction for BG testing, no instruction for hypoglycemia and a fasted BG now of over 500. On the way home I had the scripts filled. I got home, ate a hard-boiled egg (my body wouldn't accept anything) took the pills and went to bed. Wednesday (4/4) I woke up to a splitting headache but couldn't propel my body out of bed so I drifted back to sleep. Sometime later I found myself standing, though wobbly, and my entire body feeling like it's zapping me with electricity and I'm profusely sweating. I could barely think but I could tell something was very wrong I hauled myself out of my van and across to my friend's RV and up the steps. I tried talking but everything came out slurred and not making any sense. This is severe hypoglycemia. Back to the PCP I went. She ordered an antibody test, told me to get a meter, pulled me off the Glyburide (I would go on to take the Metformin for one more day before being pulled off that as well) and sent me home. Seriously. At this point I'm freaking out. I now know I'm a diabetic of some flavor. I've been diagnosed as a type 2 and I'm proactive about taking care of that so I searched the internet for low carb foods because if I can control diabetes with food and exercise I will do what I need to do. All carbs disappeared out of my diet. At this point my memory of time and the order of events gets cloudy. I managed to keep my BG around 110 but I wasn't eating anything of substance. A mere 4 grams of carbs was enough to send my BG to 300 but I carried on caring for myself like I was a type 2. April 6 was my 43rd birthday. It was not a happy day. On April 10 my PCP calls me with the results of the antibody tests. I am GAD positive so she officially diagnoses me with type 1 diabetes and she schedules a c-peptide test, gives me a referral to a certified diabetes educator and an endocrinologist. But nothing else. 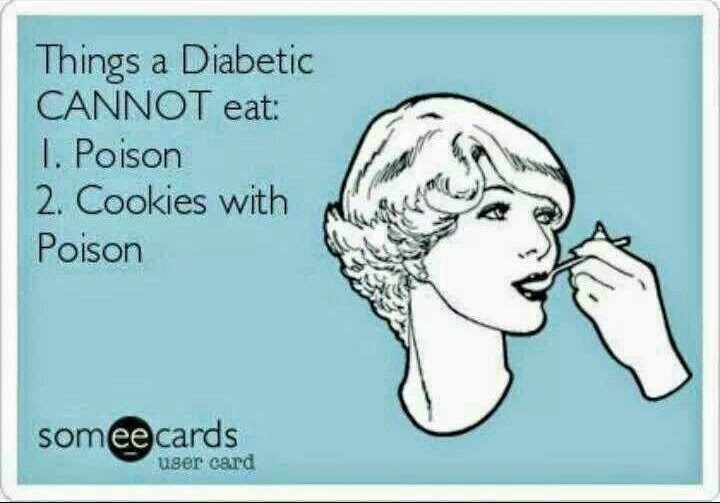 No insulin. I'm just told to keep testing (but at the same time being told I'm testing too much). Turns out the earliest I can see an endocrinologist is May 26 but I do manage to get an appt with the CDE in their office for April 30. On April 24 I emailed my PCP office to ask for help. I can continue to monitor but I will not live to see the CDE or Endo at this rate. I am a walking skeleton at 110 pounds. I have lost a little over 20 pounds in less than a month. I can not sustain and I beg to come in and to be started on insulin. I've been eating pretty much nothing but hotdogs, broccoli and lettuce. April 26 I get to see a CDE in my PCP office and she puts me on 5 units of Basaglar once a day and sends me home. April 30 I go to see the CDE at the Endo's office. She took one look at me and realized I could not wait to another month to get to see the Endo and made some calls and had someone see me that day. Endo diagnoses me with LADA after seeing my c-peptide results (which were barely in the normal range) she gave me bolus insulin (Humalog), upped my Basaglar dosage and gave me a chart to dose insulin based on my BG and whether I need to add a correction. That is about as much info as I got from the Endo. Most of my treatment since then has been learned through speaking to other folks with T1D or LADA. 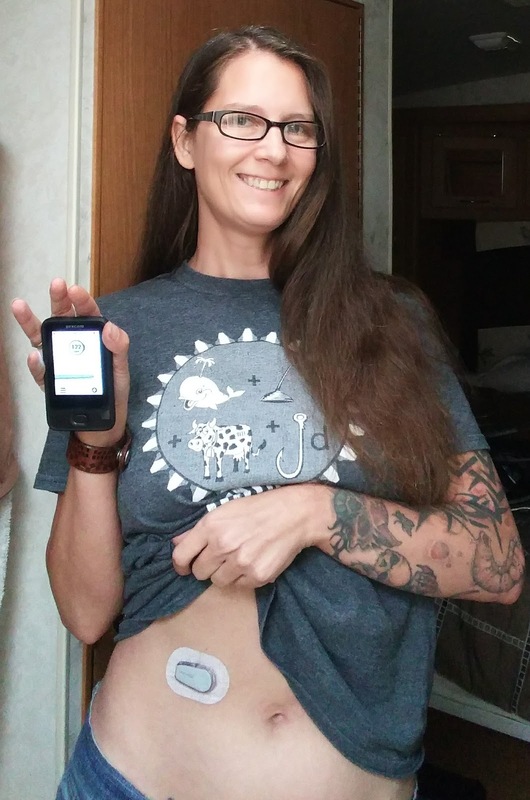 After 30 days of diagnosis I asked to be put on a continuous glucose monitor. My insurance granted me a Dexcom G6. Yay! A Dexcom G6 and I gained some weight back! Since I haven't been diabetic long enough to know what other CGM systems are like I can't speak to those. The G6 has been awesome. I'm on my third fifth sensor and each one has been painlessly applied (I haven't ventured outside of my stomach as a place to wear it). It's taken a lot of stress off of me to be able to look and see what my BG is anytime. I was testing my fingers 5 - 7 times a day and injecting insulin 4 - 6 times a day. That's a lot of stabbing. I did have an issue with sensor #4. I must have hit a capillary when I inserted it and it bled - a lot. EVERYWHERE for over an hour. There was no pain, just a lot of blood. 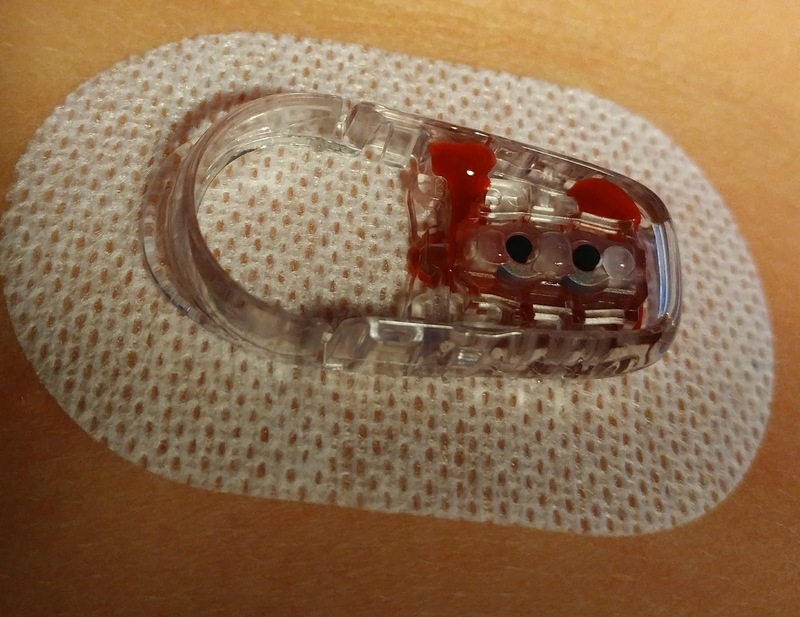 I had to remove the sensor and a quick call to Dexcom had a replacement sensor on its way to me with little fuss. I'm at 50+ days with the Dexcom and have managed to be "in range" over 95% of the time. I'm hoping to have an insulin pump in the next few weeks and I think I can nail being my own pancreas 98% of the time. I still have days where everything is all over the place. My beta cells are marching a slow death and some days they seem to work better than others. Since getting the CGM I have taught myself how to dose based on carb counting and moved away from the sliding correction scale my Endo gave me. I'm far too sensitive to correct with a full unit so another reason for me to get a pump is the micro dosing. I've managed to teach myself how to adjust my basal dosages and my boluses to account for how I live. Is it the way I'm currently being taught in pump classes? Absolutely not. Is what I'm doing working for me? 100% Well, 95%+ so I don't think there is much more that could be asked of me as far as "How are you managing diabetes?" I have set my own goals and my doctors have been fairly hands-off. I almost think that is to my advantage but then I am proactive about living. So when you see me at MDRF this year, you're likely to see I have a few new additions to my body. Feel free to ask questions but please never let one of them be, "Are you allowed to eat that?" A better question is to ask if I remembered to bolus insulin before stuffing whatever fried delight into my maw. 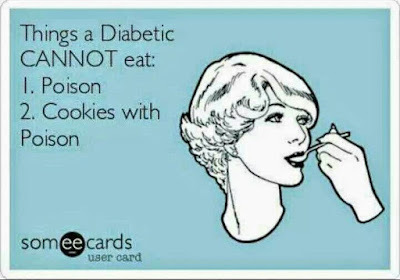 Insulin dependent diabetics can eat anything. I still have a lot to learn and there is a whole advocacy/ activist side I have yet to explore with any depth. It did not take long to realize the financial cost of this disease. I am lucky ACA medicaid coverage was expanded in my state. A lot of folks aren't so lucky and are making choices every day that affect their quality of life and, in severe cases, those hard decisions even end their life. Taking insulin is not a choice for any one who has to do it. Trust me, if we could sip a tea, or eat a specific food, or exercise more and not have to inject and test constantly - there is not a single diabetic who wouldn't be sippin' that tea. I was diagnosed for 6 hours when someone tried to tell me mushroom tea would cure my T1 diabetes. Also worth noting. 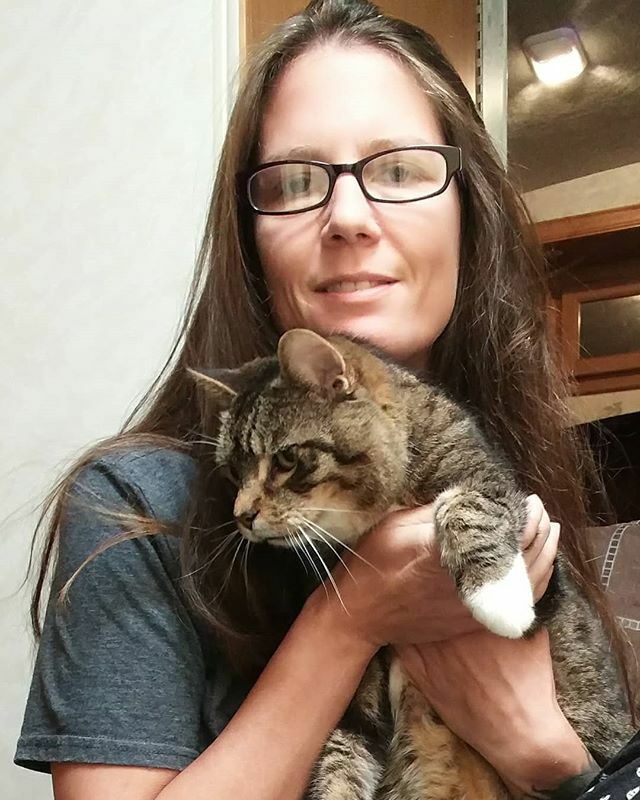 My travel partner's 17 year old kitty, Frodo (Doobie) was diagnosed diabetic two months after I started down this path so we fast became dia-buddies. Our furry friends deserve to have the best human pancreas we can be for them. The two of us are proof that some of us really do just wake up one day and are suddenly dependent on injecting insulin to survive.